Understand your risks, as well as your asbestos removal options if the hazardous substance is present in your property. Asbestos is a naturally-occurring mineral which has been mined and manufactured for use in different forms. It has been extensively used in the building industry because of its strength, durability and fire resistant properties. The pleura is the lining of the chest cavity. A cancer of this coating is known as pleural mesothelioma. Pleural mesothelioma is the most common form of mesothelioma. Symptoms of pleural mesothelioma include the lack of breath chest pain and cough. The peritoneum is the lining of the abdomen. A cancer of the abdominal wall known as peritoneal mesothelioma. Peritoneal mesothelioma is less common than pleural mesothelioma. Symptoms of peritoneal mesothelioma include abdominal swelling, bowel obstruction, and nausea. There are different types of asbestos cancer. These include lung cancer and mesothelioma. Lung Cancer SCLC is the least common form of lung cancer and accounts for about 20% of cases of lung cancer. Small cell lung vancer occurs almost exclusively in cigarette smokers. It is the most aggressive type of lung cancer at the time of diagnosis and usually has spread to many parts of the body. Lung cancer non-small cell is the most common type of lung cancer to occur in approximately 80% of cases of lung cancer. Lung cancer non-small cell can be caused by exposure to asbestos. The two main types of asbestos used in buildings and construction include bonded or tightly bound asbestos and friable or loosely bound asbestos. Asbestos found in residential homes. It is made up of a bonding substance, such as cement, and up to 15% of asbestos and is also commonly known as Fibro, asbestos cement or AC sheeting. Most commonly found in commercial and industrial buildings for fireproofing, sound proofing and insulations. Asbestos maybe present especially in houses or commercial establishments constructed before 1980. Asbestos itself is not hazardous unless damaged, and such damage can be done through remodeling or demolishing. So it is best to know what to do before undertaking such an operation. Here is a guide from determining its presence to asbestos removal and disposal. Asbestos cannot be identified by simply looking at the wall. It requires highly trained professionals, which AWARE have, to do the risk assessment. If asbestos was found in your property, evaluate it first before making any action. If the asbestos material found is not damaged, it is best to leave it alone. Although it isn’t risky until damaged, it is still recommended to have it removed. Asbestos removal in Melbourne requires experts wear personal protective equipment (PPE) which will be disposed right after the operation. Once asbestos was successfully removed, it should be wrapped with at least 0.2mm-thick plastic bag twice and labelled properly. Asbestos material found must be disposed along with apparatus and protective gear and clothing used in a proper waste facility. How does asbestos affect the development of cancers such as lung cancer and mesothelioma? When asbestos fibers are inhaled, they can be trapped in the body?s internal organs such as the lungs. Asbestos fibers can remain in lung tissue for life. Asbestos fibers in the body can trigger chemical reactions that can lead to cancer of asbestos, including lung cancer and mesothelioma. asbestos cancers usually have a long latency period, it can develop decades after exposure to asbestos has occurred. 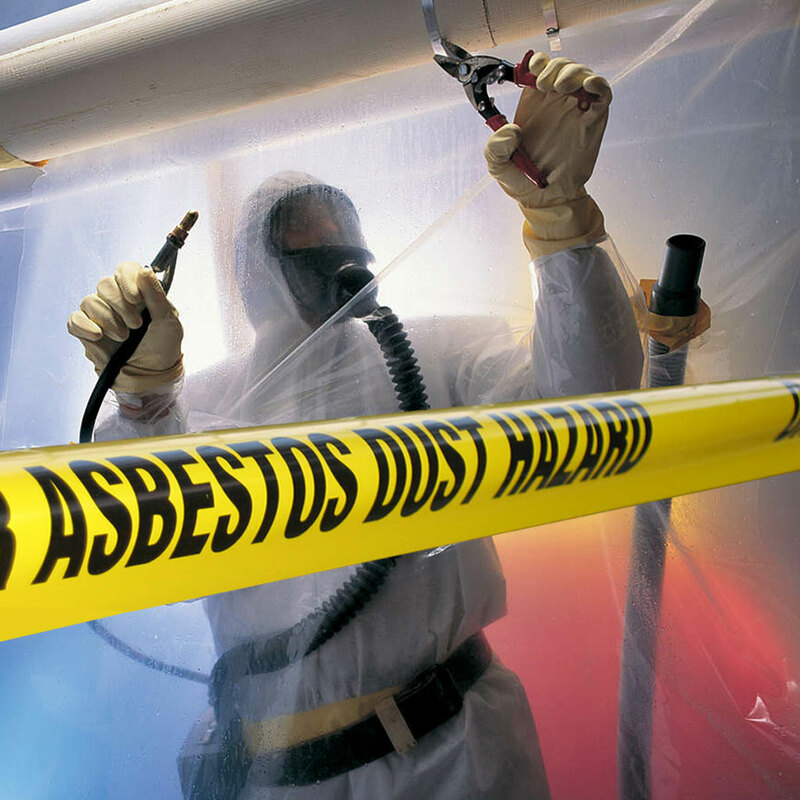 Contact AWARE to enquire about asbestos removal services.